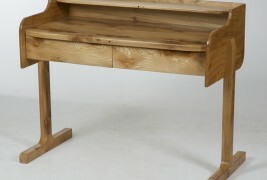 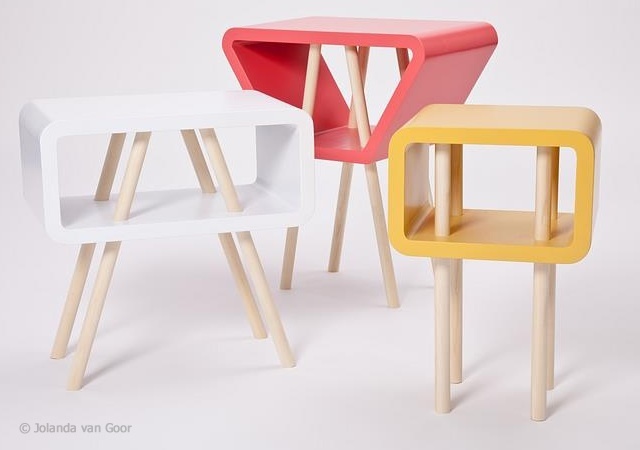 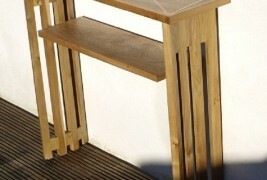 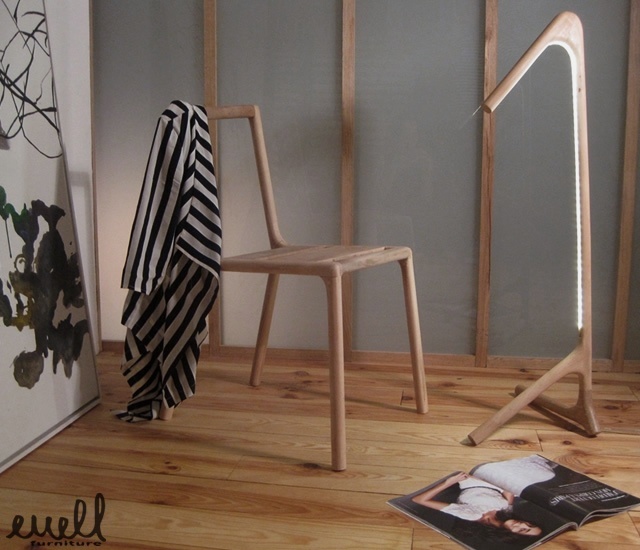 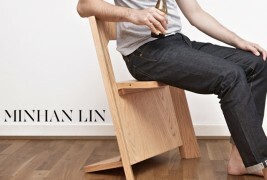 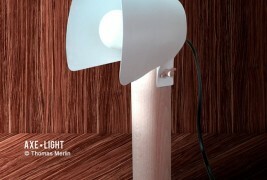 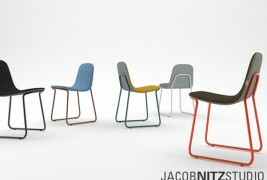 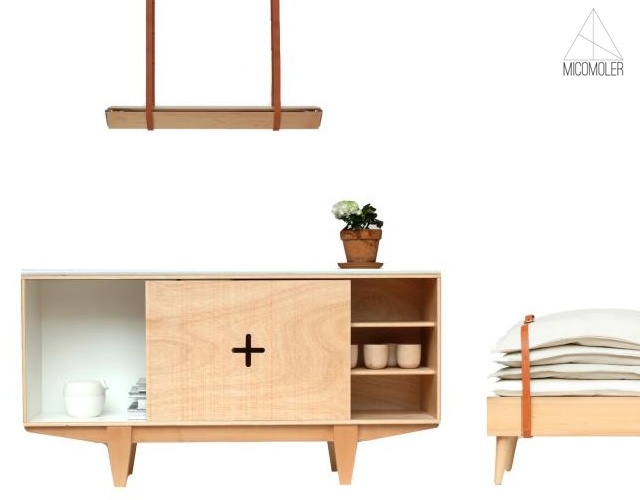 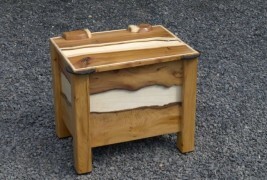 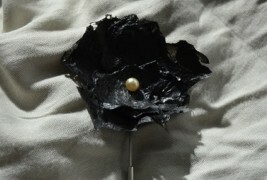 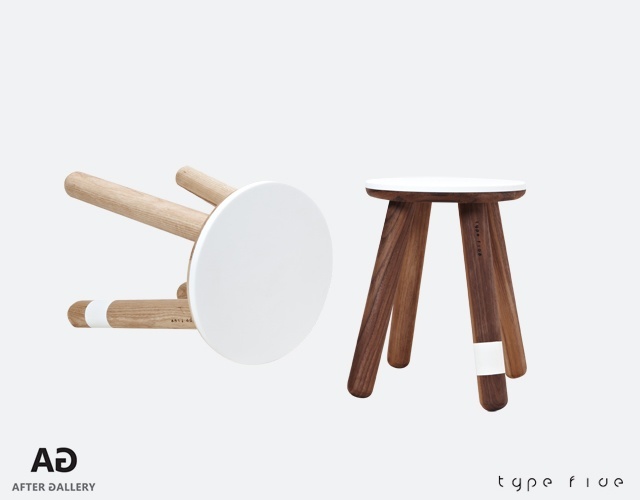 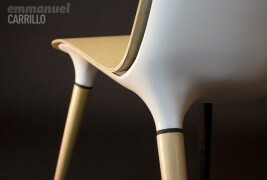 I came across furniture designer and woodworker Brian Webster and was instantly intrigued by his hand crafted designs. 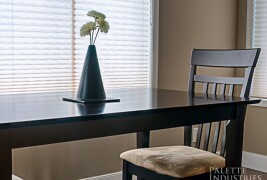 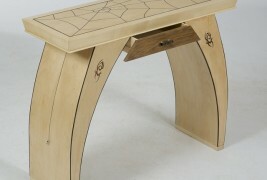 I particularly like his hall table design (featured image) which is inspired by Maori spider designs and includes a silver spider hanging on one leg of the table for a truly unique touch. 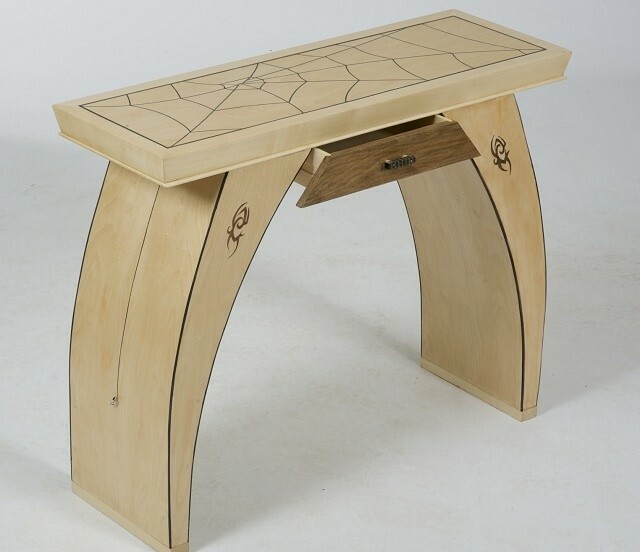 Balancing clean lines with a funky spider design twist and a useful drawer in solid walnut wood, I think it would look great in any hallway. 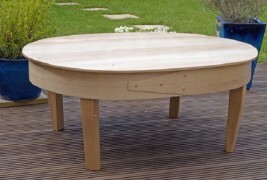 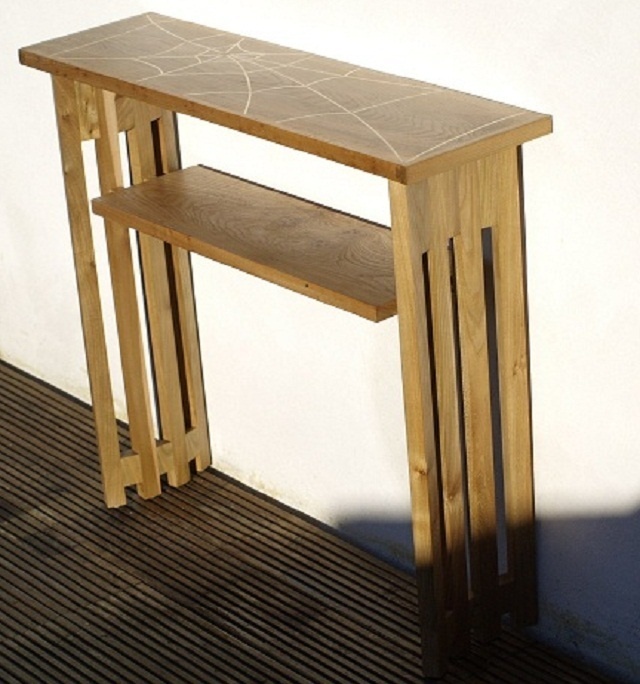 Another version of the table also comes in elm and ash and features a pale Maori cobweb design, adding interest to the classically linear piece. 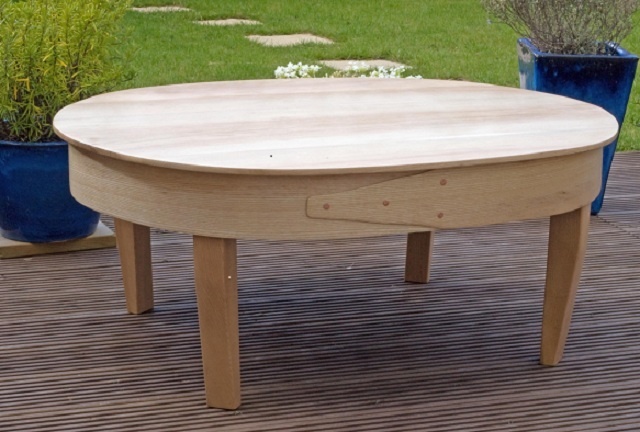 If you’re a fan of Shaker style simplicity then I think you’ll really like the coffee table design based on a traditional Shaker style box, which also features copper rivets. 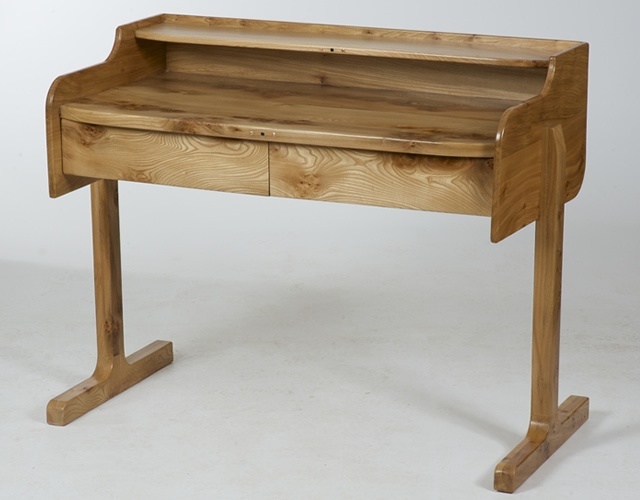 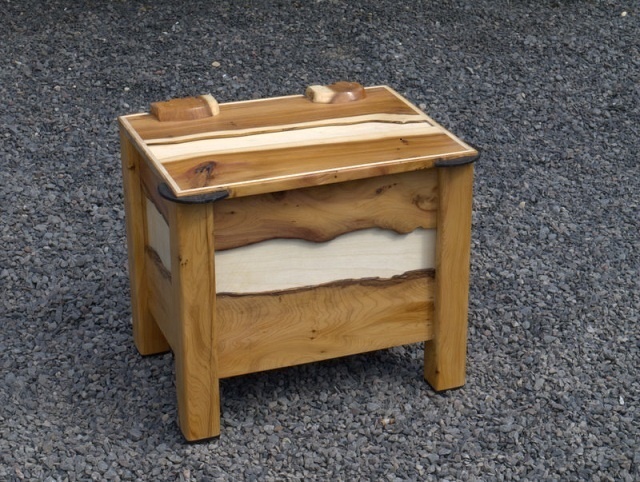 My other favourite piece is the solid chest in yew and sycamore wood which incorporates 5000 year old Bog Oak detailing, a simple design that lets the beauty of the materials speak for themselves.